Was Waiting To Buy The Right Choice In 2014? There are lots of people out there who debated purchasing a home last year who ultimately did not. There was a lot of talk about rising mortgage rates and home prices adding a sense of urgency to the decision but lets take a quick look to see if waiting was the right choice. 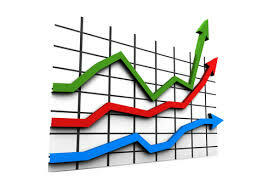 Freddie Mac reports that the 30 year fixed rate was 4.53% on January 2, 2014. As of December 31, 2014 they show it at 3.87%. The Home Price index has home prices appreciating 4.8% during the same period. So let’s do some quick math and see what the numbers turn out to be. Assume a $500,000 home at the beginning of the year and with the 4.8% appreciation in price that makes it a $524,000 home at the end of the year. We don’t expect to see this kind of scenario in 2015. Home prices are expected to rise an average of another 4%. Interest rates are expected to rise by a full percentage point to near 5%. Therefore, we recommend people in a position to be able to buy a home before these predictions become reality contact us to start the process. We have the knowledge and expertise to go over the numbers with you and see if making a move makes sense for you. No hassle, no obligation – we’re here to help! This entry was posted in Homebuying, Housing Trends and tagged buy a home, homebuying, right time to buy. Bookmark the permalink.